Develop your skills as a member of the urban sketching community. Ed is an experienced sketcher and will guide you through the basics of practical draughtsmanship, such as composition and perspective. He will then help you build your own personal style. 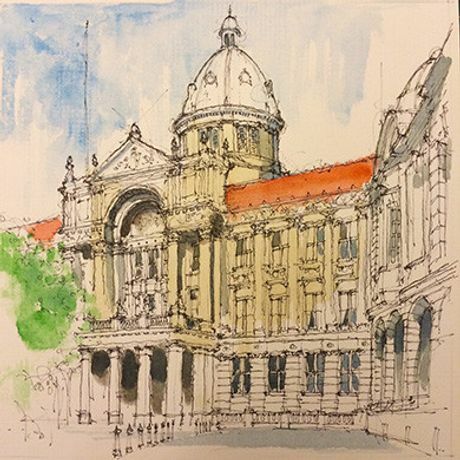 The aim of the activities is to help you develop your portfolio and increase your confidence as an urban sketcher. This workshop is suitable for beginners and intermediates.